You know the internet as a seemingly infinite online environment ruled by openness and free expression. But in China, the internet is more like an intranet. So, what kind of information is unsuitable? “Just those you know you shouldn’t mention,” a friend of mine said. That’s right. Among other things, words related to brutal events are banned. “Tiananmen protest,” “the tank man” and “Xinjiang riots” are on the blacklist for sure. 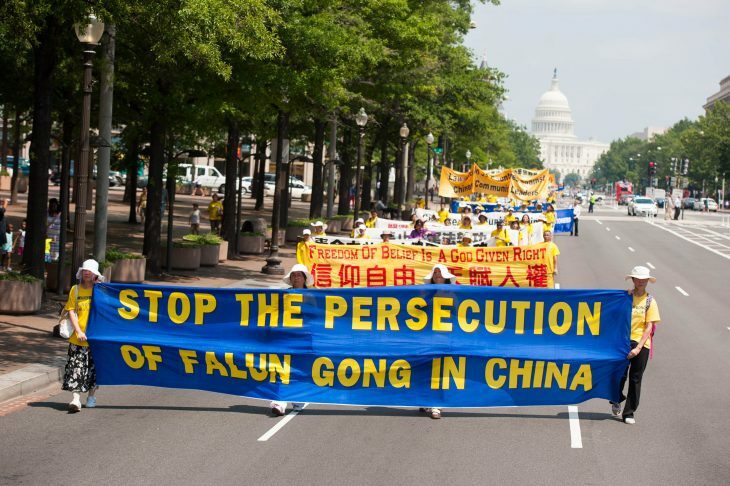 Words relevant to religions and beliefs such as “Falun Gong” and “Dalai Lama” are censored so they cannot be discussed and spread. Words used in criticizing the Chinese Communist Party, which are defined as harmful to the government, are likely to be silenced as well. Of course, my friend and I, like many other Chinese, can create our own unsuitable information list based on intuition. But the lists are never stable and keeping expanding. Last November, a high-end Beijing kindergarten was accused of child abuse after needle marks were found on kids, who were only 3 to 5 years old. One victim’s parents posted a heart-breaking video, in which their son admitted to being given white pills before he and his classmates took their noontime snooze. The scandal erupted rapidly in China’s online network, particularly on Wechat (Chinese Twitter) and Weibo (Chinese micro-blog). Within a week, though, Chinese media were silenced and all relevant information and evidence vanished, especially on Wechat and Weibo. The kindergarten’s name is “Red Yellow Blue.” Astonishingly, even those three words were blocked on Weibo during that time. Since then, I have learned several new words related to the kindergarten scandal that should now be included on my list. If the words on my old list were somehow related to politics, then I’d like to keep my mouth shut, because I barely understand politics. But I care about kids. The police in Beijing proved the needle marks were real, and a 22-year-old female teacher at the kindergarten whose last name was Liu was arrested. CNN also reported that police detained a woman for rumor-mongering and accused her of fabricating information online about the involvement of military personnel in the incident. After the investigation, more words were made taboo, and only questions and suspicions were left to be answered and explained. Forcing innocent little kids to take injections, to eat unidentified pills, and to sit inside a dark room as punishment crossed my line completely. But why can’t we discuss these horrifying issues online? And, of course, I don’t want to believe reports that the male military officer was actually naked while conducing body checks on children in the class. So, Beijing police and kindergarten staff, why don’t you provide sufficient evidence to prove the accusation was false and ridiculous? My dear firewall builder, are deleting posts and silencing online voices the best ways to protect our future generations? Another reason that China’s network is described as an intranet is because its firewall has also blocked some high-profile international websites such as YouTube, Twitter, Facebook and Google. Facebook and Twitter were blocked in 2009 for carrying messages about the Xinjiang protests. In the same year, YouTube was also blocked, and it was speculated that the ban was caused by sharing videos of soldiers beating a monk and other Tibetans. In 2010, Google was inaccessible in mainland China, and then it moved its search engine to Hong Kong. At that time, I thought Google had made a mistake by forgoing the huge Chinese market, and it would regret its decision. But I didn’t know Google’s withdrawal was forced by censorship. In fact, the company upheld the freedom of speech that was being fought for by Chinese netizens. Although Google backed off, it had already offered a remarkable example of fighting against censorship. After reading those uncensored articles, I know I owe Google a thank-you. Google: thank you for reminding us of the intensity of internet censorship in China. Thank you for your efforts in maintaining our Chinese netizens’ freedom rights online. Thank you for inspiring us to use knowledge and wisdom to fight against censorship! Hopefully, one day, we Chinese will be able to move beyond the closed environment of our intranet and join the rest of the world on the wide-open internet.